March 3, 2012 - On Thursday, at about 11 AM, 24 year old Kenneth Mazik crashed through a security gate at Philadelphia International Airport and drove his Jeep SUV onto to the aviative runway causing the airport to shut down for over 30 minutes. 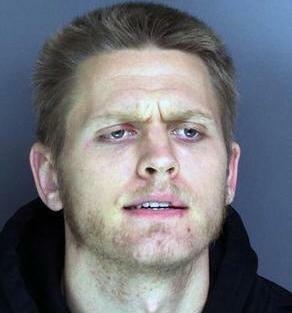 Police report that Mazik was intoxicated. Mazik crashed through a chain link fence which surrounds the airport and police began chasing the Jeep Cherokee at speeds of more than 100 mph down the airports active runway which was captured by ground radar and air traffic controllers as a commercial flight was preparing to land. The flight was about 20 seconds from the wheels touching down when controllers ordered the pilot to abort the landing. Authorities reported about 75 aircraft had to circle the airport and about 80 aircraft were prevented from departing on time. Police chased Mazik around the airport for several minutes before they were able to stop him and place him under arrest. Mazik was taken to a local hospital where he is currently under a psychiatric evaluation. Joe Sullivan, Philadelphia Police Chief Inspector stated investigators do no have a motive so far for his actions. "We're trying to determine that right now whether or not he has psychological problems or substance abuse problems, that's all part of the investigation." Victoria Lupica, Philadelphia International Airport spokeswoman "The airport's airfield perimeter security fencing meets or exceeds all federally mandated standards and our airfield is secure. While this was a very rare incident, the various layers of security interacted extremely well to bring this incident to a safe conclusion." Transportation Security Administration spokeswoman, Ann Davis, said ?the response by police and airport officials showed that the system worked since the suspect was spotted, pursued by police and arrested in five minutes. The TSA and the airport are reviewing the incident. ?